Tāufaʻāhau Tupou IV, son of Queen Sālote Tupou III and her consort Prince Viliami Tungī Mailefihi, was the king of Tonga from the death of his mother in 1965 until his own death in 2006. Siaosi Tupou II, King of Tonga was the King of Tonga from 18 February 1893 until his death. He was officially crowned at Nukuʻalofa, on 17 March 1893. He was also the 20th Tuʻi Kanokupolu. George Tupou I, King of Tonga was originally known as Tāufaʻāhau I, or Tupou Maeakafa Ngininginiofolanga in modern spelling. He adopted the name Siaosi, the Tongan version of George, after King George III of the United Kingdom, when he was baptized in 1831. His nickname was Lopa-ukamea, meaning iron cable. George Tupou V was the King of Tonga from the death of his father Tāufaʻāhau Tupou IV in 2006 until his own death six years later. The coat of arms or national seal of Tonga was designed in 1875 with the creation of the constitution. The prime minister of Tonga is the country's head of government. Tonga is a monarchy with the king, currently Tupou VI, as head of state.. The current prime minister is ʻAkilisi Pōhiva, in office since 30 December 2014. 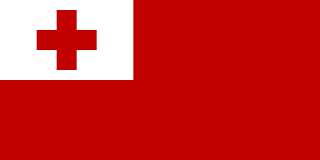 Fatafehi Laufilitonga was the 39th and last Tuʻi Tonga, a dynasty of kings in Tonga during the Tuʻi Tonga Empire. Lavinia Veiongo Fotu was the Queen consort of Tonga from 1899 to 1902, and the first wife of George Tupou II.